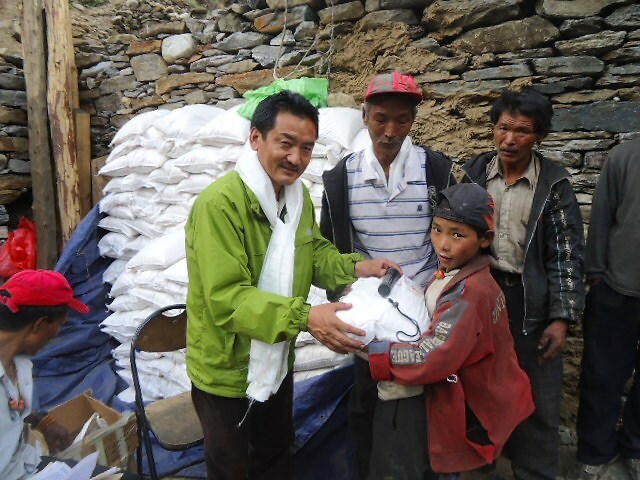 Mr. Nima Lama of the Tsum Welfare Commttee distributes our solar lights among 300 families of Chumchet Village Development in a remote area of the Himalayas in Nepal. We finally could manage to attach pictures, although the solar flashlight distribution has been organized a couple months ago. 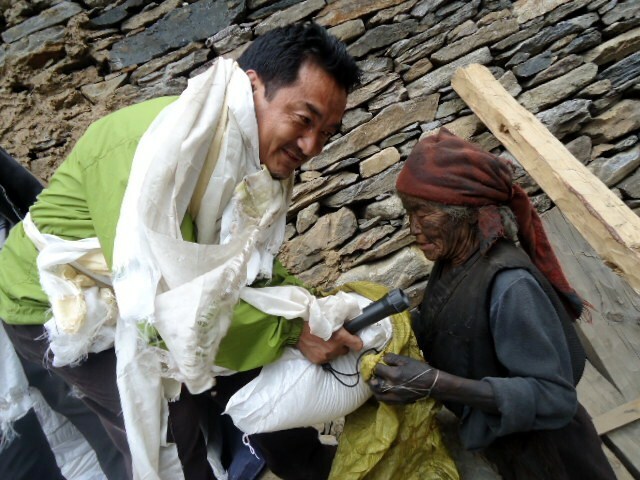 As you know that solar flashlights are distributed in one of the most remote corners of the Nepal Himalaya, the nearest motor head is 5 days walk down. People here are heavily dependent upon the pine resin and firewood for the lighting which not only causes indoor air pollution but also increases the burden on the forests. 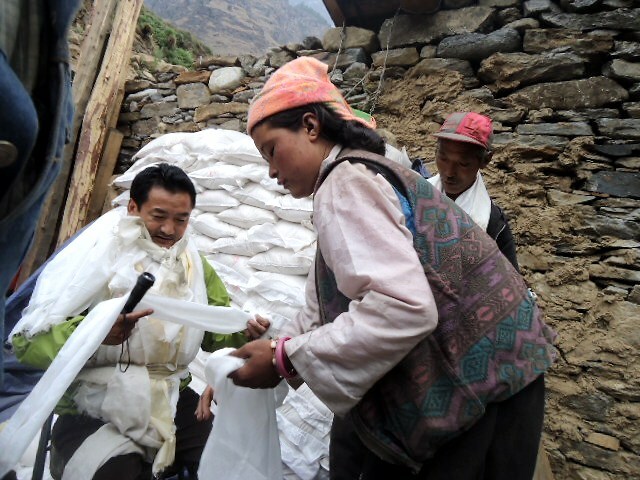 This distribution was done among 300 families of Chumchet Village Development Committees in May during the remote health camp program organized by Tsum Welfare Committee (www.tsumvalley.org). 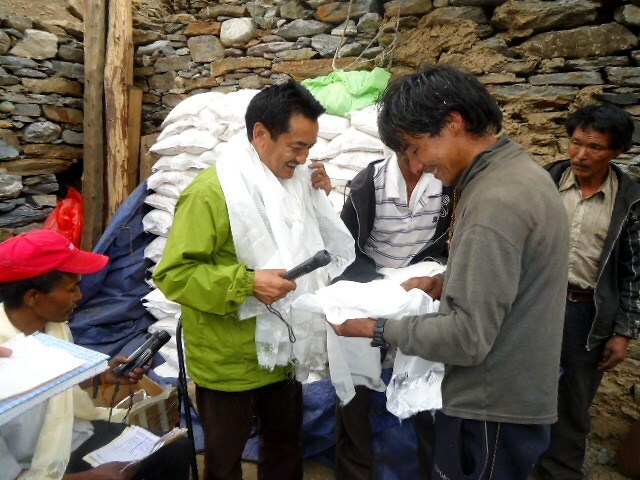 Mr. Nima Lama, the president of TWC as you can see in the pictures, distributed the solar lights. TWC has contributed the transportation and logistics on behalf of the local community organization. The locals have sent you many prayers and blessings and expressed their heartfelt thanks to you and your organization. They have also invited you for the amazing trekking in the mountains.